3 MAJOR AIRPORTS IN ITALY HAVE CHOSEN CIAS' SIOUX MEMS 3.0 TO PROTECT THEIR PERIMETERS. In recent years, enhanced security to protect public places has become a priority. Key among these are critical infrastructure perimeters, which are specifically addressed for protection by current European Union regulations, with airports topping the list for the large numbers of people moving through daily. 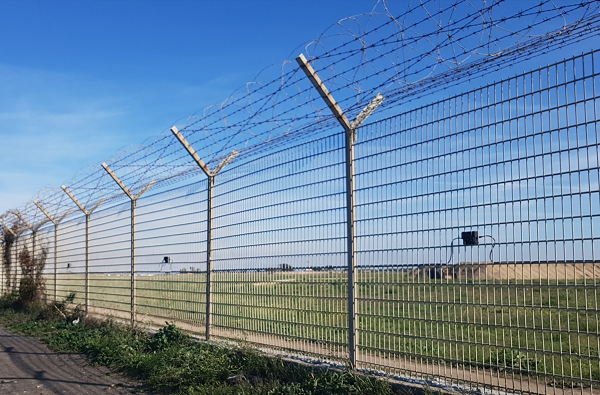 Three of Italy’s major airports have chosen CIAS’ Full IP solution with SIOUX 3.0 to provide intrusion detection for their secured perimeters, and are achieving sound results in terms of performance and reliability. Totaling more than 75 km of perimeter fence coverage, installation proved to be easy and fast, thanks to the simplicity of the design and deployment requirements. SIOUX’ high performance detection and easy deployment is based on self-addressing Micro-Electro-Mechanical Sensor (MEMS) technology. With MEMS sensors every 5 meters deployed with Plug & Play RJ-45 connection, the system provides excellent detection and accuracy on any kind of fence, from flexible woven or welded mesh to rigid mesh or palisade. Using patented Touch & Zone sensor configuration, alarm zones are simply and quickly defined. The SIOUX controller is natively IP enabled with PoE available. 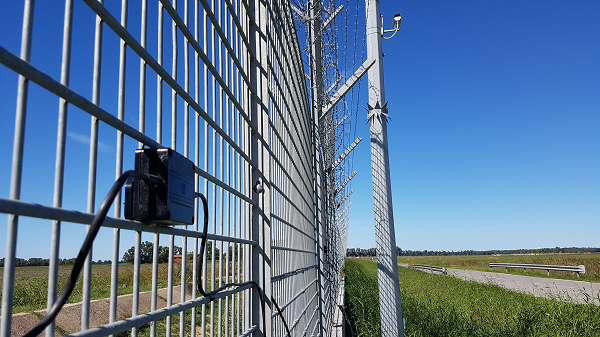 The system can provide up to 700 meters of perimeter coverage with 1-meter pinpoint location, and be equipped with up to 20 zone-alarm relay contacts for simple and universal integration. Compliant to and exceeding the strictest requirements, SIOUX offers extremely low Nuisance Alarm and False Alarm rates (NAR / FAR), coupled with a high Probability of Detection (PoD) exceeding 95%. Qualifying alarm events are reported as quickly as 500 ms, well below the typical requirement of 3 seconds. High level and accurate IP-based alarm integration is provided by IB-SYSTEM-IP communications gateway software. Using the freely available SDK, the simple and open architecture protocol allows for ready integration to any alarm - or video management platform. Effectiveness and reliability of the system’s IP alarm communications has been thoroughly and successfully tested by the Airports Authorities. CIAS is about to release the more powerful version SIOUX PRO, providing up to 1500m of perimeter coverage with a single controller.